"We’re also grateful to the physicians who partner with us and our 700 employees who work tirelessly so that we can help our members achieve their best possible health and quality of life." 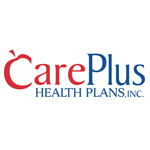 MIAMI--(BUSINESS WIRE)--CarePlus Health Plans, Inc.’s Medicare Advantage plans in Florida achieved five stars – the highest possible rating – from the Centers for Medicare & Medicaid Services (CMS). This makes the CarePlus Medicare Advantage HMO, offered in 19 counties throughout Florida, the only five star-rated statewide plan in the state. CarePlus is a subsidiary of Humana Inc. (NYSE: HUM). Using a Medicare Stars Quality Rating system, CMS evaluates Medicare plans annually, with one star indicating poor performance and five stars representing excellence. Ratings are posted at www.medicare.gov just prior to the Medicare Annual Election Period (AEP), which begins on Oct. 15 and runs through Dec. 7, and will take effect on Jan. 1, 2015. Medicare beneficiaries have an independent source to compare quality and performance of the various plans offered. Receiving the five-star rating also means that Medicare beneficiaries have the flexibility to switch to a CarePlus five-star rated Medicare Advantage plan at any time of the year using certain guidelines, rather than being limited to the AEP. CarePlus has been offering Medicare Advantage plans in Florida for 15 years. Most of their plans feature many benefits at no additional cost to its members, like a 24-hour nurse line, preventive care and screenings, and membership in the SilverSneakers Fitness Program, one of the nation’s leading exercise programs for older adults. Based in Doral, Fla., the company offers a broad choice of Medicare Advantage plans and has more than 95, 000 Medicare Advantage members located in 19 counties throughout Florida. More information can also be available at: www.care-plus-health-plans.com.